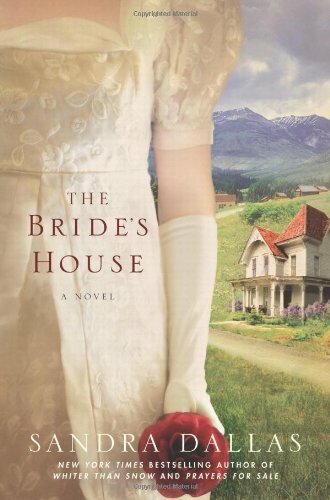 I recently finished listening to “The Bride’s House” the most recent novel by Sandra Dallas. I believe this was the 4th book of hers I’ve read, and honestly, I’ve enjoyed them all. Her books are always set in Colorado and most always back in the 1800’s. I’m a sucker for a good historical novel. I used to love romantic historical novels, but now I’m more into the story than the romance. Not that a little romance is a problem… I don’t mind a little romance. However nowadays the romance must be part of a story, not THE story. I digress. This was a pleasant enough book about a family of women and covers about a hundred years. It kept my interest and was very well narrated/read but there were parts that were just too wordy or silly and added nothing at all to the book. I’ll admit I fast forwarded past one entire chapter about “snipe hunting”. I just didn’t want to hear it all. I knew what the author was going to say! Most everyone already knows that there is no such thing as a “snipe” and it’s just a ruse. Anyway, I’m rambling here…. this wasn’t my favorite Sandra Dallas novel. However it DID keep my interest most of the way through and I will indeed read more by this author in the future. In fact, I have two more by her on my huge “to read” pile. “The Persian Pickle Club” is one, and the other – “The Diary of Mattie Spenser”. I am still reading Ken Follett’s latest “Fall of Giants”. I am on page 720 of 1000 or so. This book is good, but it’s physically HUGE and HEAVY and therefore not very portable. It’s hard to read in bed! It’s so bulky that I can see this book making a big argument for buying a Kindle or a Nook! We recently took a trip that involved a 2 hour plane ride. I had to find a nice paperback book to take along as there was NO WAY I was toting that giant book by Mr Follett! So, I am also currently reading “Open House” by Elizabeth Berg. My review on that one will be forthcoming shortly. By the way, I’m loving it!! This entry was posted in Books 2011 and tagged Elizabeth Berg, Fall of Giants, Follett, Sandra Dallas. Bookmark the permalink. ← A long post with pics! Happened across your blog. Love it. And your photos are wonderful!